I’ve found myself a new series! I stumbled upon this series when its author, JJ. Morrison (@jjmorrison_author), posted about it on her Instagram account and I thought I should give it a go. I bought it for my Kindle a while ago, and I suddenly remembered it the other day and decided to start. I’ve barely put it down since. This series bring stories like King Arthur and The Quest for Camelot to my mind, and this is what the author has based the series upon. You get the feeling that you have some kind of Medieval Lord of the Rings mixed with Harry Potter and some old fairytales stirred together in a great culdron to make something a new and wonderful storyline. I think my favorite part about this series is how the characters never seem to be who you first believe them to be. I will not spoil anything, but several times while reading the book I had some suspicions about a character, but I didn’t quite trust my instincts until the book reveald whether or not what I had predicted was right and wrong. This keeps the reader interested and engaged with the story which is always great! It is no fun reading a story where you can see every twist and turn the story takes! Ps. I was both mistaken and correct in my guesses. The story in itself is very intriguing and I haven’t read anything that resembles it before. 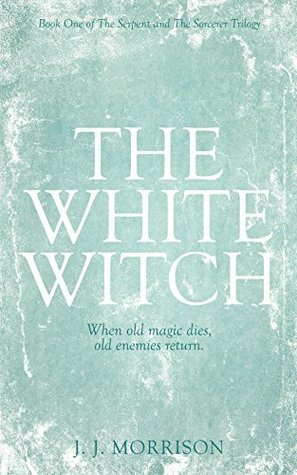 I haven’t read much within the line of Arthurian fantasy so it was a new experience for me, one I quite enjoyed! Like I said the characters are one thing, but there is also several plot twists that you don’t see coming before they hit you in the face. As the story unfolds you are left with questions you don’t necessarily find the answers to right away or at all (are they being answered in the upcoming books? ), and one of the bigger questions, again no spoilers, really makes you wonder if you’ve misunderstood the whole story. The reason for this possible confussion is that the author has laid out very well hidden clues along the storyline, and some of them may seem contradicting, therefore causing the possible confusion. Personally I was so confused by this big question and had to ask the author herself in order to make sure that I wasn’t completley lost. Turns out I wasn’t, haha. Features like this makes sure that the reader keeps engaged with the story. Even though it might sound like a complicated book, it really isn’t. I found it very easy to read, with an easy use of language and chapters that weren’t too long. If I were to put my finger at something (and this is the only thing I’ll put my finger on) it was that in the beginning it was a little diffcult to follow the changes of perspectives both within chapters and when a new chapter started. It took me 2-3 chapters to get used to it, but considering that the book contains 20 something chapters this really isn’t a massive problem. Every writer have their own style, and I got used to it. A reason for why this might be, it was in my case, was the fact that you are early introduced to all these names, of course with an attatched explanation, and before you are familiarised with them they are just names in a bundle. I give this book the highest recommendation and I’m already really excited to read the next book! Rumor has it that it is to be published already this fall?! I can’t wait to figure out the faith of Enola and her faithful companion! Give this series a go, you wont regret it! Nice review. I need to get my hands on the book! Love that cover! I’m a big fan of Arthurian stories, so this sounds interesting. It is really good! I’ve never read any Arthurian fantasy before so I was very positively surprised!